5.8 GHz with precise sound reproduction. degradation or audio compression whatsoever. Amphony is a well-known corporation selling various equipment such as car audio and video. We found 14 great pdf references of this manufacturer . 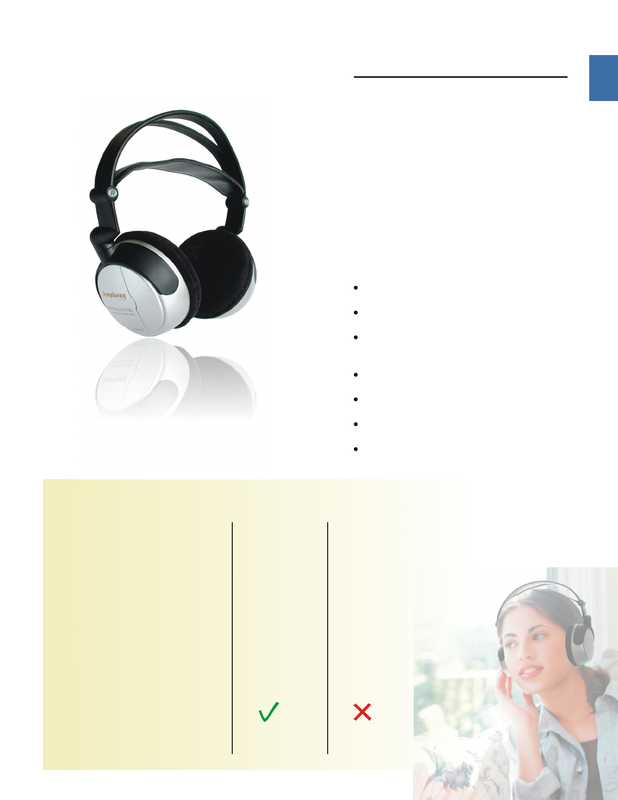 Now you're reading a user guide for Amphony Headphones 500.